Back row (left to right) - R. McCartney SS, F. Tarrant CF, A.McKay (Fan), E. Beard RF, F. McLear 1B, G. McLean (Scorer), Jack Buscombe LF. Middle row - Herb M. Whitney C & Captain, W. J. Halliday (Treasurer), Simon John Clarke MGR, Jack McCreary 3B. 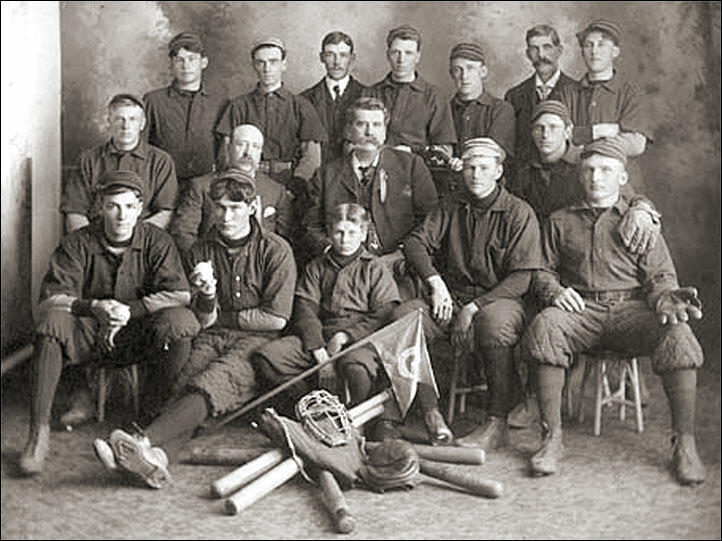 Front row - Harold Jamieson P, Andy McCartney P, J. Kerr (Mascot), George L. Miller P, J. E.(Dutchy) Radis 2B.